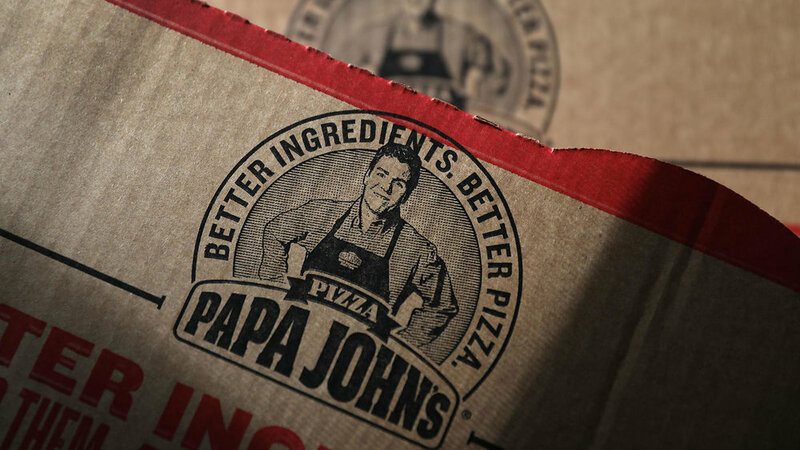 Papa John’s has split ties from its founder, John Schnatter last Friday over his use of a racial slur during a conference call with a marketing firm last May. The call was supposed to be a role-playing exercise - an effort to help Schnatter avoid public-relations controversies in the future but instead has had quite the opposite effect. Forbes reported that Schnatter responded to a question about distancing himself from racists by pointing out that "Colonel Sanders [of Kentucky Fried Chicken] called blacks n——-s." Later in the call, he brought up memories from his childhood in Indiana, where, he said, "people used to drag African-Americans from trucks until they died." Shnatter, who had been chairman of the company board, resigned from his role soon after. While the company’s stock had taken a downturn to a 12-month low after the news of the incident was released, it soared back up 11% last Thursday after Shnatter resigned. Given that Shnatter still reportedly owns nearly 30% of the company, he made well over $50 million that day, contributing to his total net worth of $720 million. Given his stake in the company, Shnatter will stay on as a board member. And this isn’t the first time Schnatter had backlash from his words. He had already stepped down as CEO last year after making controversial comments about the NFL's handling of the anthem protests. Stating that Papa John’s (a National League sponsor and advertiser) had been “hurt” by the “take a knee” protest led by African-American players that were meant to draw attention to police brutality. So what else does this mean for Papa? Well, the chain is removing his face from its marketing materials. Up until now, he’s been the main spokesperson of the brand, appearing in the company’s logo, commercials, the store’s interiors and on the pizza box. Schnatter, who was also on the University of Louisville's Board of Trustees, resigned after the local branch of the NAACP called for his removal. In order to begin amending the problem, Papa John’s new CEO, Steve Ritchie released a statement last Friday, saying that, “Papa John’s is not an individual. Papa John’s is a pizza company with 120,000 corporate and franchise team members around the world.” He also promised an external audit of company policies, training for senior management, and an open-door policy encouraging employee feedback. At this point, there’s no telling what Papa John's will do next to continue to amend the hurtful statement by its founder. Let us know what you think in the comments section below and be sure to sign up for our newsletter to receive more controversial news and entertaining reads. Jul 13 What Do $1000 24-Karat Chicken Wings Taste Like?